Rosie has been asking for a robot food plate for a few days and I finally got round to making her one! Rosie loved her robot. She wanted to name him ‘Yummy’. Mini ready made pancakes, shreddies, Cheerios, fruit ‘wiggles’, emmental cheese and a white chocolate star. 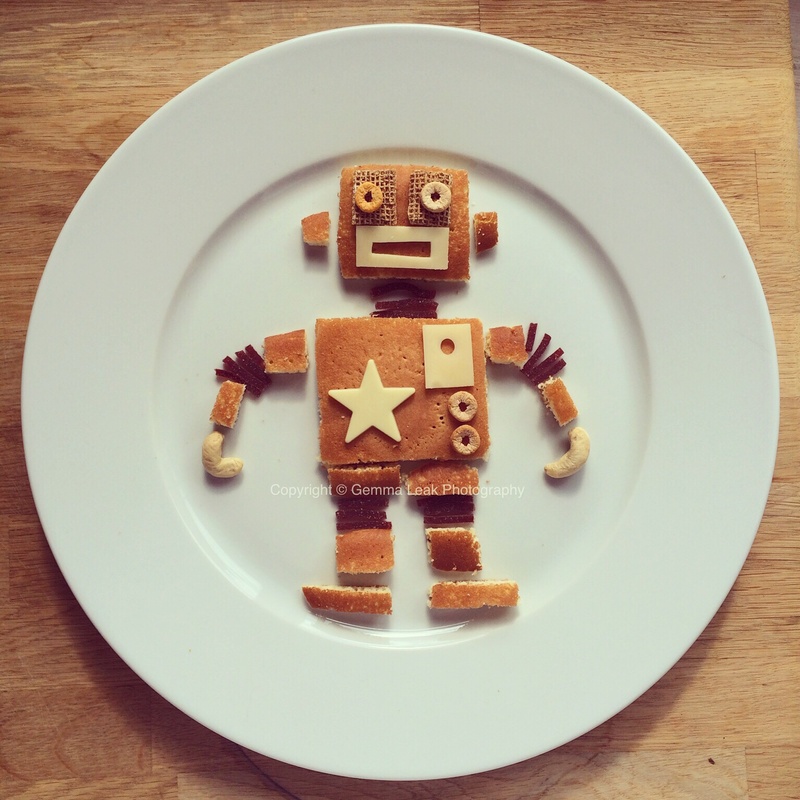 This entry was posted in Food art and tagged breakfast, food art, robot. Bookmark the permalink.